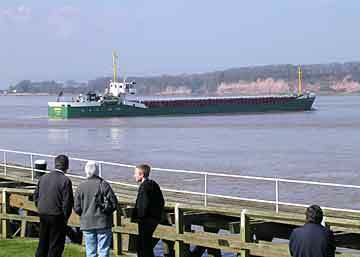 On Good Friday 9 Apr 2004, almost 30 vessels entered Sharpness Dock on the morning tide. 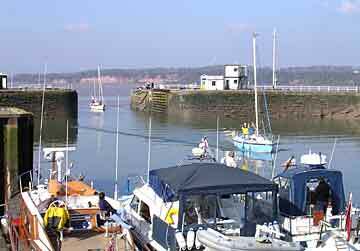 Over 20 of these were yachts from the Portishead Cruising Club on their way to a weekend visit to Gloucester, and the others included a lifeboat, a Dutch barge, a dredger, and a coaster. 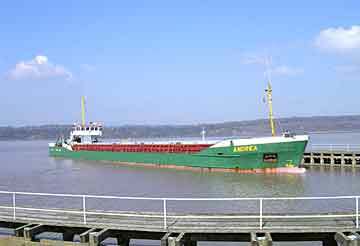 The dredger had been clearing sand from the tidal reservoir off Oldbury Power Station, and the coaster was the MV Andrea with phosphate fertilizer from Gabes, Tunisia. 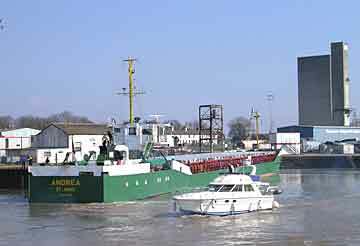 The arrival of this very varied collection of vessels was handled smoothly by the lockgatemen, who had to level the whole tidal basin as the lower lock gates were out for maintenance. 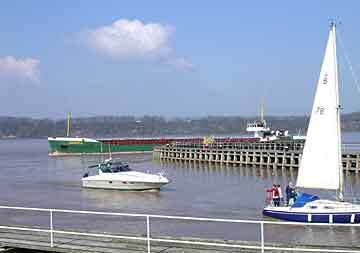 The first yachts from Portishead were carried up the river on a powerful flood tide and were welcomed into the tidal basin by Gloucester boats waiting to depart. 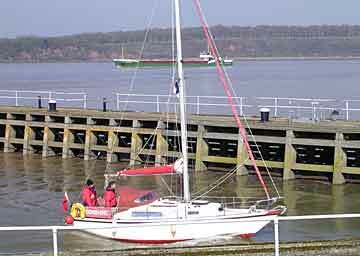 While other yachts from Portishead were entering the tidal basin, MV Andrea arrived and began to swing round in the river to stem the tide. 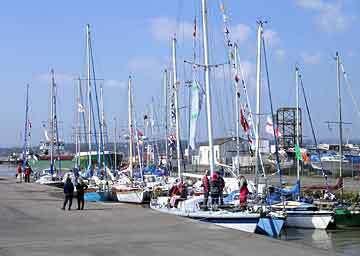 More yachts from Portishead came in between the piers while MV Andrea waited out in the river for the tide to ease. As still more boats arrived, MV Andrea moved forward and began her final approach. As the flood tide eased, MV Andrea began to turn in towards the entrance. 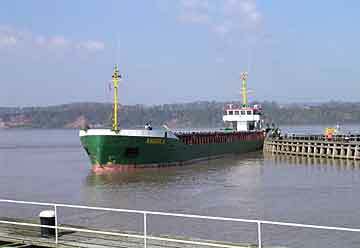 Having edged round the knuckle of the north pier, MV Andrea moved slowly into the tidal basin. 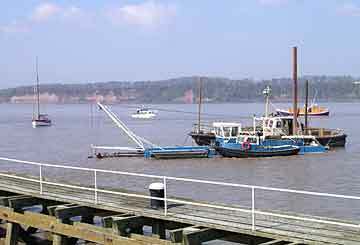 While MV Andrea was entering, a dredger and three other boats had to wait outside between the piers. As MV Andrea was mooring to the jetties in the tidal basin, the Gloucester boats began to leave. Once all the arrivals were in the tidal basin, the entrance gates were closed and the water level was raised to that in the dock. 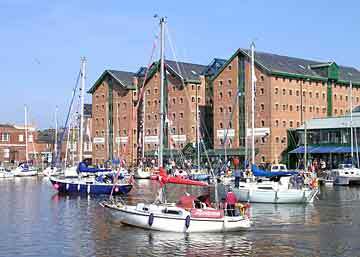 Later in the day, the yachts from Portishead arrived at Gloucester and found moorings around the Main Basin.